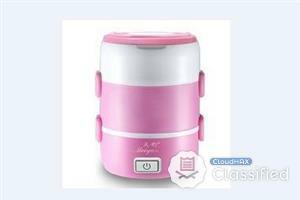 1.2L Multi-Functional Travel Cooker/ Steamboat Convenient, Durable & Practical Multi-Functional Travel Cooker! Cooks Delicious Food Instantly! Highlight Electric cookers makes cooking meals so easy and fast! Suitable for college students or busy working adults Lightweight and portable, compact cookers include steaming trays User friendly Convenient cooking Easy heat control Fits to be used at home, office, hotel & hostel Suitable for cooking noodles, poaching eggs, warming Coffee & milk, boiling water, warming / reheating food, mini steamboat , soup and more. 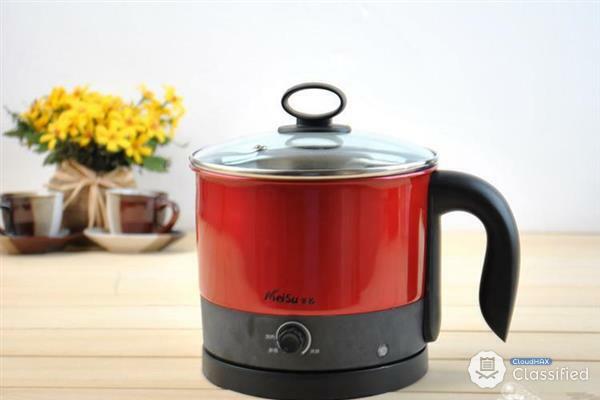 Product Specifications: Color: Red Capacity: 1.2L Power: 600W Voltage: 220V, 50Hz Weight: 1.2kg Package Includes : 1 x 1.2L Multi function travel cooker SMS/WHATSAPP 012-5329588 (MAZRI) MAZRINIEY STORE ENTERPRISE WE SHIP TO ALL MALAYSIA WIDE WITH TRACKING NUMBER PROVIDED. THANKS.